This trip is an excellent introduction to Morocco’s centuries-old culture in a remarkably short space of time. You’ll visit the country’s three most beautiful imperial cities, ancient strongholds with maze-like streets surrounded by towering walls. Arrival at the Mohamed V International Airport outside of Casablanca. Transfer to the hotel where you will spend the night. 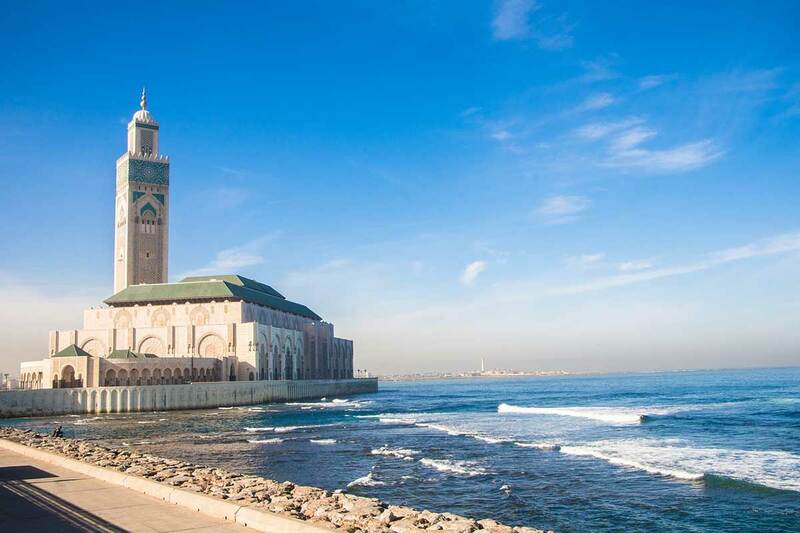 After breakfast you will take a tour of the Hassan II Mosque a true feat of modern architecture that features some of the best Moroccan, craftsmanship. 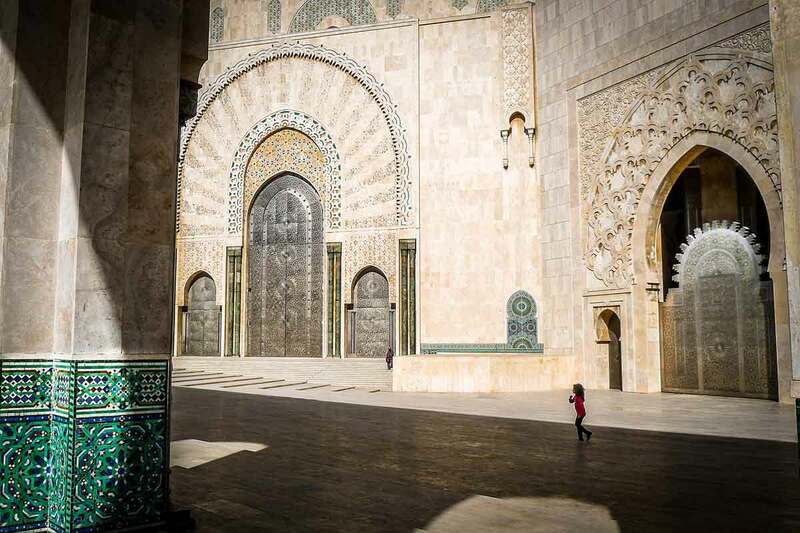 This is the largest mosque in Morocco. 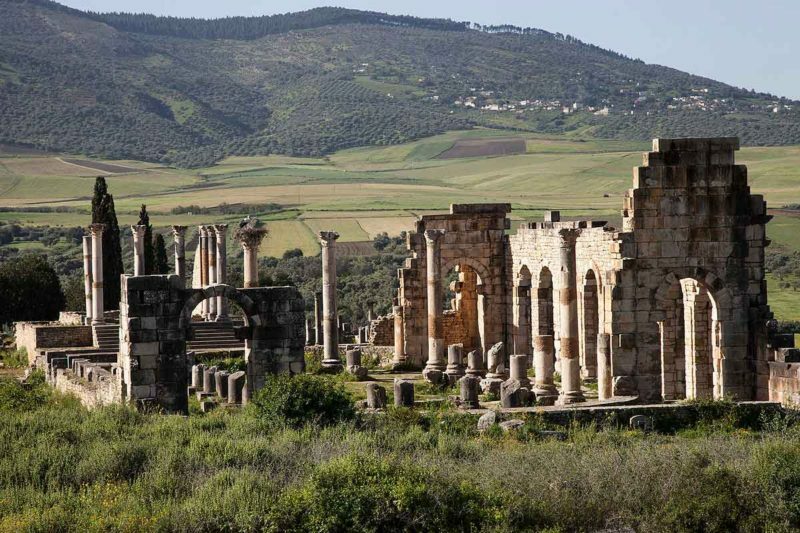 You will drive further to Rabat to explore the Oudaya Kasbah and Chellah Necropolis where you will see the roman-era city alongside the more recent ruins of the Almohad and Merenid dynasties of the 12th and 14th centuries. 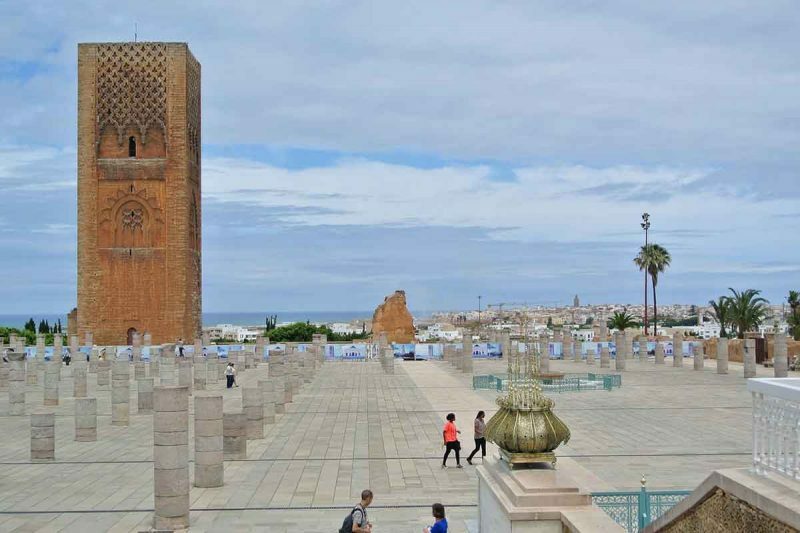 After you have lunch here you will drive further to Meknes where you will spend the night. 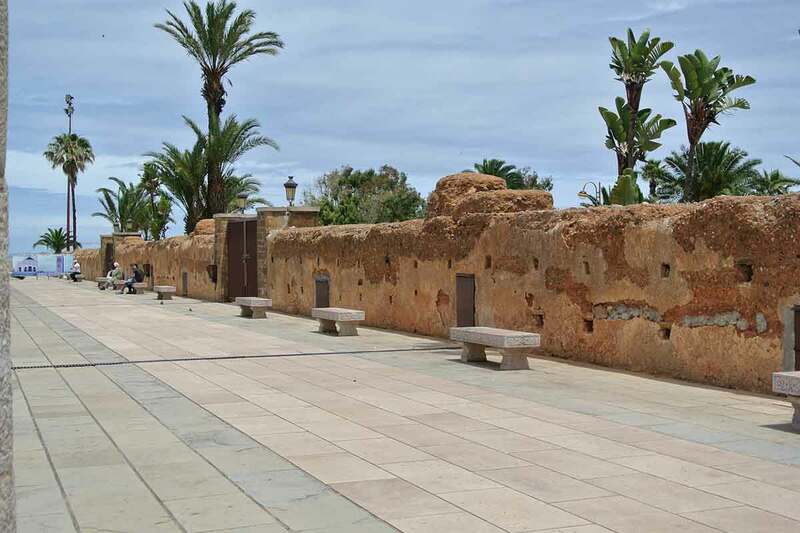 In the morning you will visit the Mausoleum of Moulay Ismail and the granaries (Heri es Souani), for an idea of the technological advancement of Moulay Ismail’s empire. 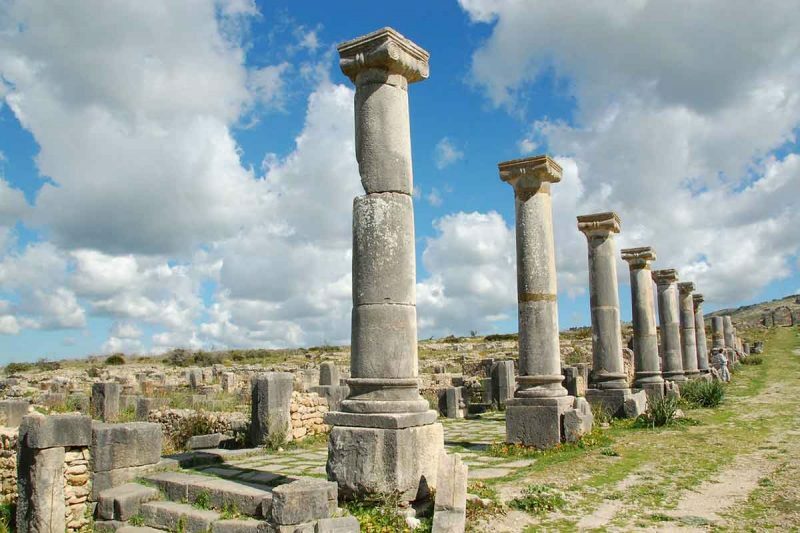 After 30 minutes driving you will arrive at the Roman ruins of Volubilis where you will walk through Roman forums and examining the water irrigation system, the different stone and marble used for construction, and some of the mosaics still lying about. After a few hours driving you will arrive at the mountain town of Chefchaouen, tucked into folds of the Rif. Here you will spend the night. In the morning spend the first half of the day exploring one of Morocco’s more pleasant medinas. After lunch you will drive further to Fes where you will spend 2 nights. The oldest of Morocco’s four imperial capitals and the most complete medieval city of the Arab world, FES. 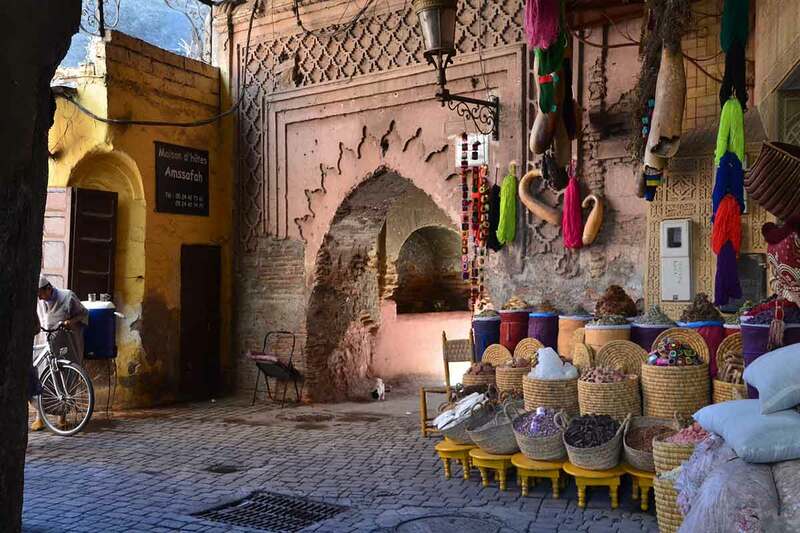 Today we pay a visit to the old medina of Fes is a particularly exciting experience because when you enter the sprawling labyrinthine alleys you’ll feel like you’ve stepped back in time. Donkeys and mules are the only form of transport in these steep and narrow streets. 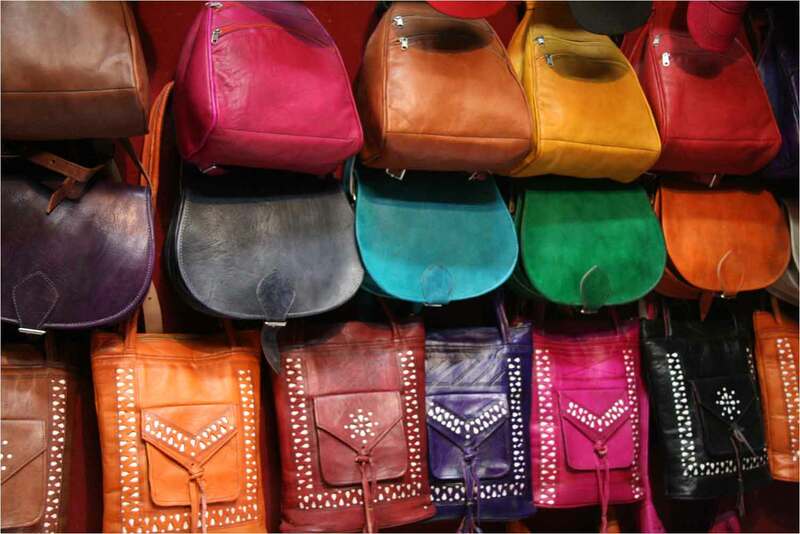 The most delicious scents come from the souk, where perfumes and spices are traded. 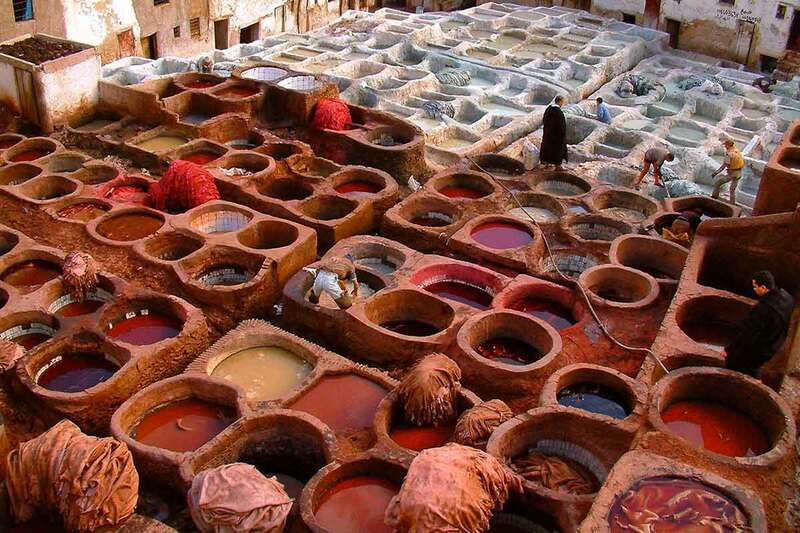 But the most appalling stink from the leather tanneries, where men often stand up to their waists treating leather in noxious baths in much the same way as has been done for centuries, shouldn’t put you off going there too. Ethnic leather goods make great souvenirs. Early morning you will leave Fes. Today will be a long drive via the Middle Atlas to Marrakech. 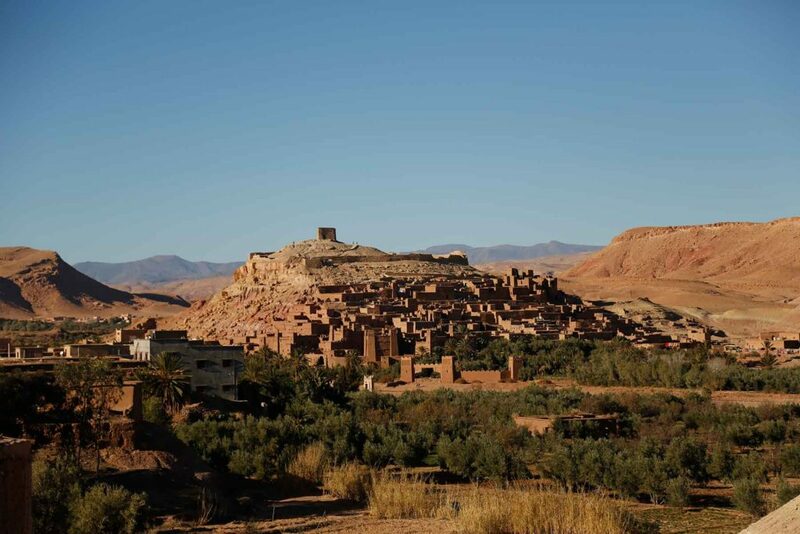 The Middle Atlas is still primarily a series of Amazigh villages, some more interesting than others, set between limestone plateaus, stony fields and forests of scrub oak, pine and cedar. In the Middle Atlas evergreens are a constant, along with the Azrou Cedar Forest and the rolling hills of Ifrane and Beni Mellal. You will spend 2 nights in Marrakech. 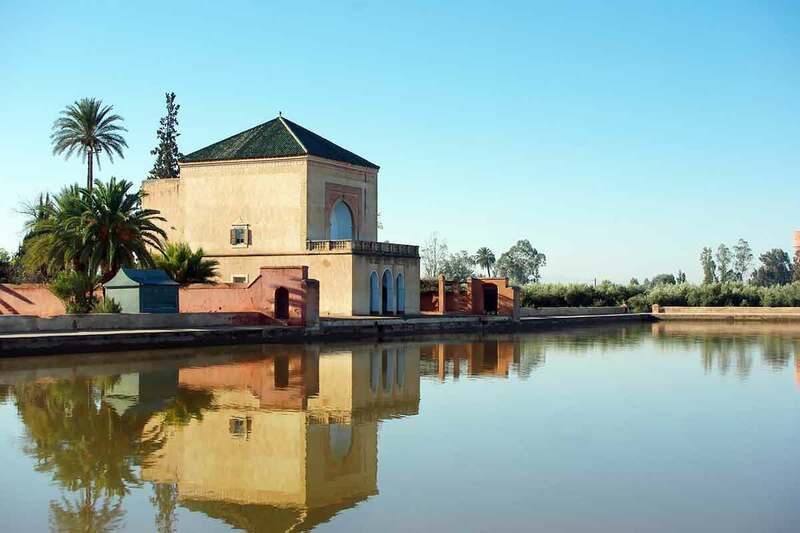 Today you have a free day to explore Marrakech. 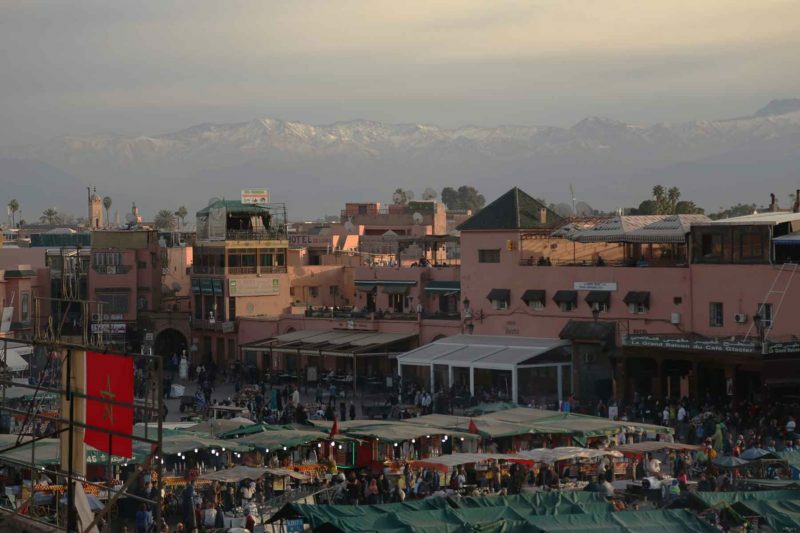 Marrakech has a magical reputation because of its immense souks (bazaars), numerous landmarks and ancient Berber heritage. Its central focus is Djemaa El Fna, the famous square where young and old alike gather every day to enjoy arts and crafts, storytellers, snake-charmers, herbal doctors and jugglers. As darkness falls food-stalls appear and you would be forgiven for feeling that you’d stepped back a thousand years or more. Marrakech is also famous for great gardens, of which the Majorelle Gardens, created in 1920 by the French artist of the same name, is probably the most beautiful. The bright blue villa contrasts perfectly with the surrounding tropical plants growing in enormous jars and pots. Transfer to Marrakech Airport and departure.